Well, I'm proud to say, it is my photo...this is the link lol. 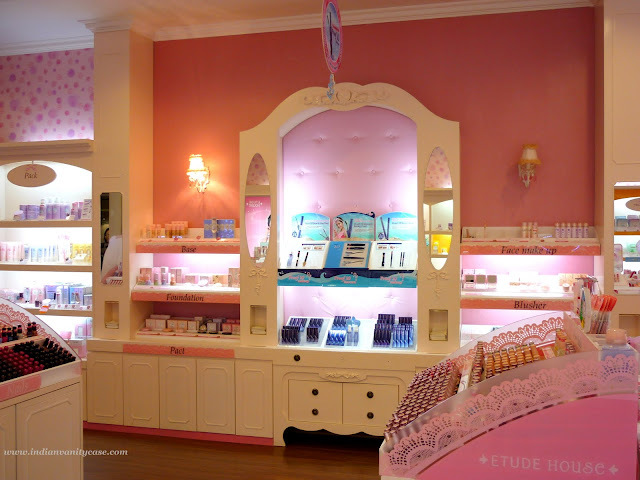 I took it in Etude House in 2009 at Berjaya Times Square Mall, Kuala Lumpur. I thought I'd put them up. Actually, I did put a slideshow in 2009 when I just started this blog, so some of you might have seen them. Of course, I removed it after a week or so. I don't know, I was a little paranoid back then. Wait till I'm done adjusting my hair! i've seen that pic on the right before. it does look beautiful, like a doll house! what all do they have there? It's the most beautiful store ever!!! 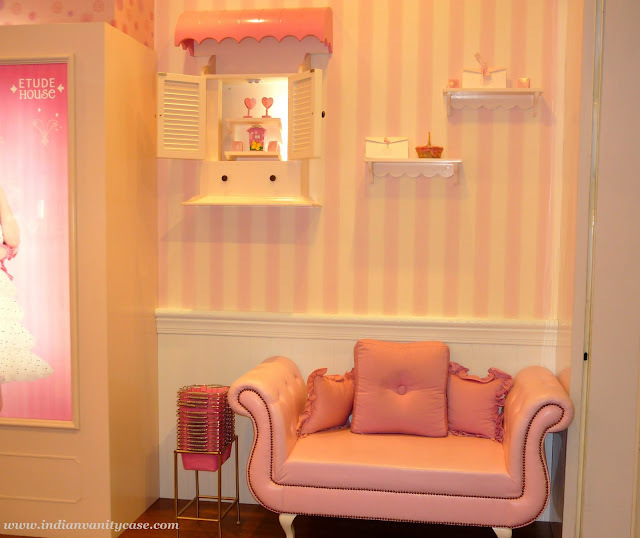 the store looks so pretty i want to have a makeup room just like that pretty pink and all :) and you match with the store hehe very pretty! i love your hair then. u look great! Its like a little candy store...like a girls version of charlie and the choc factory!! This place and you look like made for each other..
That shop looks like heaven! I'd love to go there, there's nothing as cute as that in England! Thnx 4 d link Cynthia!!!. Wow! this is so cute! I want to know the place, I want to go there. Is there a way to get it shipped to India.... I love Etude been dreaming about it since past 2 months (hint Dara & SHINee commercial) I would love to find out what tones match my skin color and get started on using the products. Also I am dying to try out their Range of BB creams. That is such a pretty store! !